Do you spend most of your life dreaming about the places you’d rather be? Do you, sometimes, choose to sit in a lawn chair and reflect on how every part of life around you is failing, failing, failing, and you’re just there to deal with it all? Then this Fernando Alonso figurine is for you! Alonso is no stranger to dreaming about places he’d rather be, and certainly you are, too. He tried to find that place in the Verizon IndyCar Series, but sadly, it ended just as his other frustrating life endeavors had. 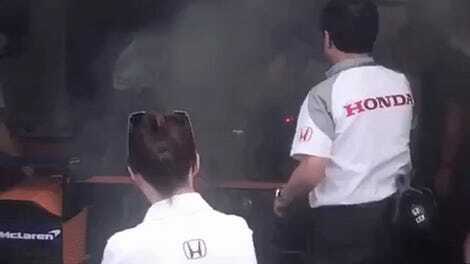 Check it out in 360 degrees, complete with Alonso’s perfect hair and dreamy demeanor. It’ll look great on your fireplace mantle! It’s the perfect paperweight for your home office. It’ll keep your guests company at the kitchen island when the party dies down and they, too, start dreaming about places they’d rather be. 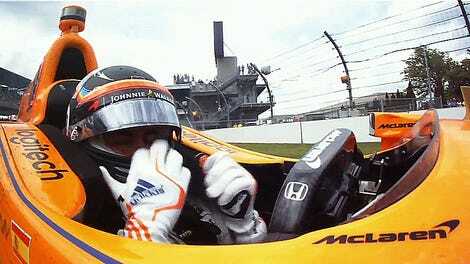 The figurine is six inches tall, which must be as small as Alonso sometimes feels on the inside. But not to worry! He is small, but he is mighty! 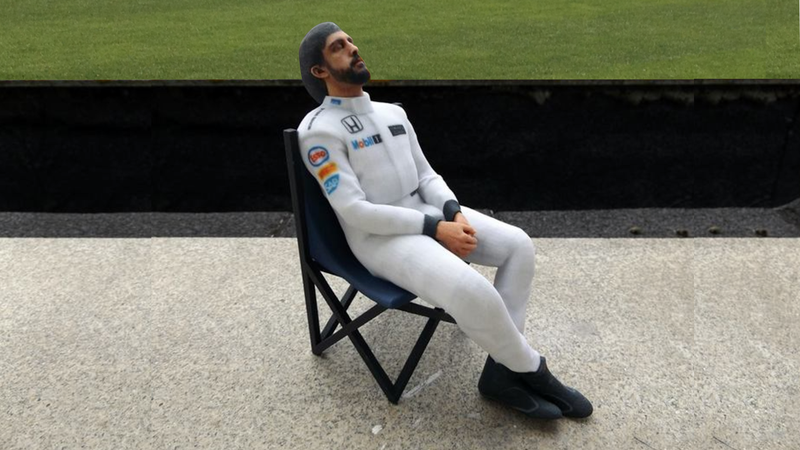 Order it now for a mere $104.70, and you, too, can feel just as mighty as this tiny Alonso. There’s no price tag on dreams, after all! *The figurine is not actually alive. Exasperation on figurine faces may vary.